This unusual breed gets it's name from the Indian tribe of Chile where they were first discovered. Araucanas/Ameraucanas can lay beautiful colored eggs of blue-green shades from turquoise to deep olive. These natural Easter Eggs will amaze your friends and make a great "show and tell" project for school. Adults are of medium size with pea combs and our breeding stock is selected for their ability to produce colored eggs. 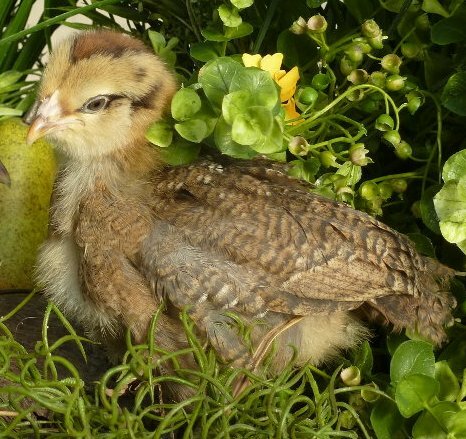 They exhibit a wonderful combination of colors and color patterns and several of these birds will be a hardy addition to your small farm or backyard flock. Baby chicks come in all colors, plain and fancy, just like the adults. 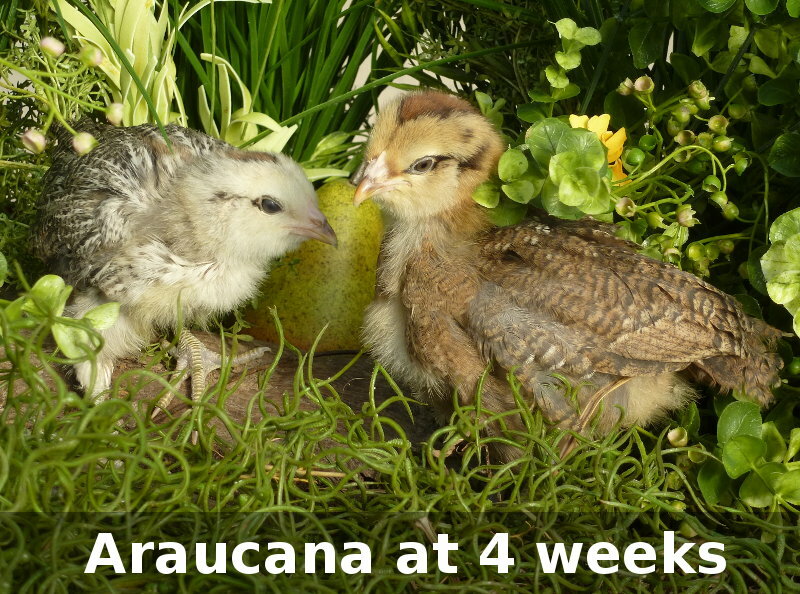 Our Araucanas/Ameraucanas are recommended for egg laying color and ability and not for exhibition. When shipped, these chicks will be between 28 and 63 days old. At 28 days old, most chicks do not require supplemental heat, and so can be started out in your coop. They are vaccinated for Mareks and Coccidiosis. They have been watered with Quik Chik and given Gro Gel. They are fed with a highly nutritious feed formulated for optimum growth. Because they do not require supplemental heat, we are able to ship as few as 1 of these 4-9 week old chicks. You can mix and match any type of 4 week old chicks in your order. Does the price include shipping on the Americanas or do I have to pay shipping also. Shipping is calculated by the quantity being shipped.